REVEREND BEAT-MAN HITS THE ROAD! 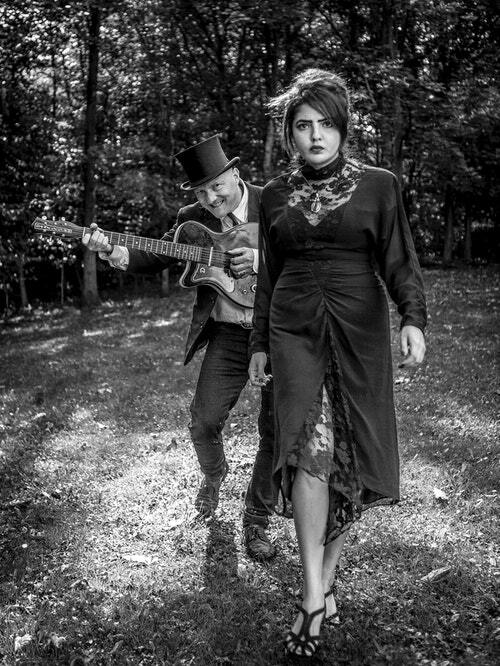 Voodooo Rhythm Records head honcho REVEREND BEAT-MAN heads to the UK next week with his accomplice SISTER NICOLE IZOBEL GARCIA in tow. Helming Europe’s number one trash rock’n’roll and blues label for more than 30 years, Beat-Man is Switzerland’s greatest purveyor of gospel blues trash as an endlessly touring one-man-band. He’s also founder of the country’s longest-serving psychobilly band, THE MONSTERS. For this UK tour, he’ll be joined by Garcia, a veteran of various short-lived L.A. garage-punk bands, and more recently fronting MANOS DEL CHANGO, trading in her own Habanero Blues style, alongside Voodoo Rhythm labelmate DELANEY DAVIDSON. Check the pair out live in Paris in 2014. Tickets now available from Punk Rock Blues. The Reverend’s new album ‘Blues Trash’ is out now. ‹ TOP OF THE POPPERS!